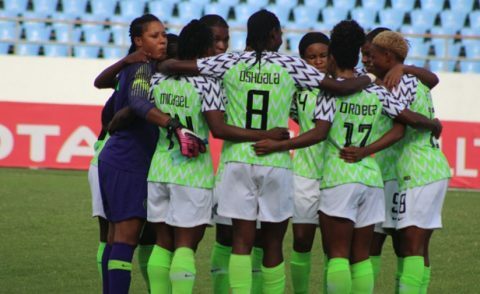 (AFRICAN EXAMINER) – Super Falcons of Nigeria have won their 9th African title by beating South Africa’s Banyana Banyana 4-3 on penalty shoot-out. 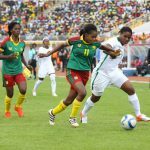 The game ended 0-0 following extra time played at the 11th African Women Cup of Nation (AWCON) in Ghana. 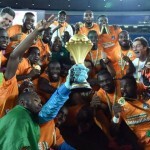 Nigeria’s Goal keeper, Tochukwu Oluehi was the heroine as Nigeria claimed the African Women Cup of Nations for a record ninth time. 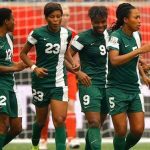 The Super Falcons goalkeeper was impressive throughout the encounter, before saving the decisive penalty to help her team beat Banyana Banyana. 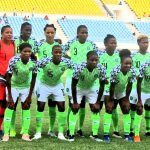 Onome Ebi had missed Nigeria’s first penalty of the shootout before Oluehi provided a stunning save to deny Linda Motlhalo, thus, securing victory for Nigeria.